Everybody loves juice. Because of this, it’s pretty easy to convince people that juicing their food has health benefits. So, of course, an industry sprang up that sells the unsuspecting public on the idea that they should be juicing everything. Then, it sells them the products to do so. Every once in a while I find it necessary to debunk some unsubstantiated health claims I’ve seen on the internet. Today I’ll give you a thorough look at the supposed health benefits of juicing. Juicing claim #1: Fresh is best! I’ve seen this claim used to sell juice, but I’m never sure… what is meant by fresh? Are we talking about fruit that was freshly picked off the tree that morning? Then I would agree, fresh is best. But if the orange was picked in Florida, kept in a warehouse, trucked up to Winnipeg, kept in another warehouse, placed on a bright grocery store shelf, brought home, and then “freshly juiced,” I wouldn’t consider that to be all that fresh. Time, oxygen, and light will lower the nutritional content of fresh produce. One way to counteract this is to freeze produce shortly after harvesting. Freezing will lock in the nutrients. This claim is 100% true. Juice is absorbed by your body quicker than solids. But it’s NOT A BENEFIT. Unless you’re running a marathon and need some instant energy, or you have diabetes and are experiencing dangerously low blood sugar (a medical emergency), it’s best if your body absorbs sugar more slowly. It’s a lot easier for your body to process nutrients at a slower rate. When you drink juice (which is mainly just sugar), your body rapidly takes up the sugar, spiking your blood sugar, and sending your body into a hormonal panic mode to deal with this sugar flood. In contrast, the fibre in the fruit slows down the rate of absorption of sugar, making it much easier for your body to deal with. This is an entertaining one, because while this is indeed accomplished by juicing fruits and vegetables, it’s also accomplished amazingly well by your teeth! That’s right, when you chew fruit, you are also releasing enzymes locked away in the “fibre matrix.” Basically your teeth are an old-fashioned cold-pressing juicer. So as long as you’re not the type to swallow fruit whole… as long as slipping entire bananas down your gullet isn’t your thing… you’re good to go! Just take your time to chew and savour your fruit. Use your teeth to make cold-pressed juice! Are there any benefits to these enzymes anyway? Your body produces the enzymes necessary to digest food. Other than pepsin, which is activated by the stomach’s acid, the body’s digestive enzymes are excreted after food passes through the acidic stomach. If they were released earlier, they would be inactivated by the acid. So, any of the enzymes you eat in the fruit will most likely be rendered useless by the stomach anyway. Juicing claim #4: Lose weight! Juicing will not make you lose weight. Juicing will not boost your metabolism. Juicing will not erase your cellulite. Juicing will not burn fat. Juicing claim #5: Detox your body! In high school I first heard about the concept of cleansing your body of toxins. It sounded so desirable. Who doesn’t want to get rid of things called toxins? They sound awful! So yeah, I get the allure of the detox concept. But it’s a horrible, inaccurate, misleading concept. With the help of the liver, kidneys, gut, and other organs, our the human body is constantly detoxifying itself. Yes, it’s important to help support our organs by eating a healthy diet, but the overall picture is key. Eating whatever you want and then going on a juicing cleanse to erase the damage you’ve done is not the answer. A good analogy is a father-son relationship. For the son’s well being it’s incredibly important for the father to be a constant, loving, caring presence in his life. The father needs to invest daily in the relationship for it to grow and be healthy. Despite the father’s best efforts, he will sometime mess up. He might miss a baseball game without realizing just how important it was to his son that he was there. But he continues to pour love into his son. This son grows up, feeling secure in his relationship with his father. He is emotional, socially, and psychologically healthy. Now, imagine if the father lived far away and only came to visit his son once a year. For the one week he’s with his son, he’s the textbook picture of a perfect father. He spends all day playing with him then tucks him in at night with a bedtime story. The father makes no mistakes during this week. But despite the perfect parenting, this one week does very little to cultivate a healthy relationship. It doesn’t make up for the rest of the year when he’s not around. The son doesn’t get the benefits of everyday care from his father. He doesn’t get to look up to his father as a daily role model. He might very well have a positive impression of his father, but the relationship is not one that cultivates his personal wellbeing. It’s the same with food. The overall picture is what is important for supporting the health of our organs. A 7 day “cleanse” doesn’t make up for a lack of overall care. Juicing claim #6: Fast absorption of nutrients gives your digestive system a well-needed rest! Someone I knew recently had a heart attack. This event made me stop and think about our hearts. The heart is such an amazing organ. From the day it starts beating inside our mothers’ wombs to the day we die, it keeps on ticking. It NEVER takes a break. It doesn’t need to, nor do you want it to! No, the way to keep your lungs and heart healthy is not via rest, but with exercise! When exercising, your heart beats faster and contracts more forcefully. This serves to strengthen it and make it more efficient when it goes back to its baseline rate. It’s the same way for your digestive system! You don’t need to give it a rest, you need to support its functioning. Foods containing fibre are one known way to support the health of intestinal cells. So, one of the best things you can do for your digestive system is avoid juice, which removes fibre from food. Sidenote: Complete, occasional fasting (aka intermittent fasting) may provide some health benefits. Take caution with this, though, as the science is young, so we don’t have all the answers. Also, there is a lot of misinformation on the internet about the term intermittent fasting. It’s promoted in different forms, but the researched health benefits are only related to complete fasting. Complete fasting means going 24 hours without any food, not just skipping a meal. I’ll be writing about that in more detail soon. Subscribe to my newsletter to get that article delivered to your inbox when I publish it! If you’re into juicing, don’t worry, we can still be friends! I won’t serve you freshly pressed juice when you come to my place, but if you serve me some at your place I’ll appreciatively enjoy it. I just want everyone involved to be aware of what it is: a tasty treat for special occasions, not a health food with magical properties. Also, I’m sorry if I dashed your health goal hopes with this article. But they don’t have to stay dashed! Unlike juicing, there are approaches that are supported by research and evidence! I’ve taken every bit of helpful evidence-based info I’ve picked up during my education and career as a registered dietitian, and I’ve poured it all into an intensive program called “I Quit Overeating.” Check it out! Honest and good article to read, thank you. Question. What’s your view/stance on implementing a DAILY juice blend (1 cup serving size) as part of your daily caloric intake? Thank you for your article, but I believe the information you provided is inaccurate and scientifically unfounded. Unless you provide sources for your statements, it is only your opinion. And to share your opinion disguising as factual useful information is unprofessional, harmful and immoral. People are looking for ways to improve their health and you deny the many health benefits of juicing. Research proves your statements to be inaccurate and further proves that juicing fresh vegetables and fruits to have a multitude of health benefits. You claim the benefits of juicing are outlandish???? Does that even make sense? 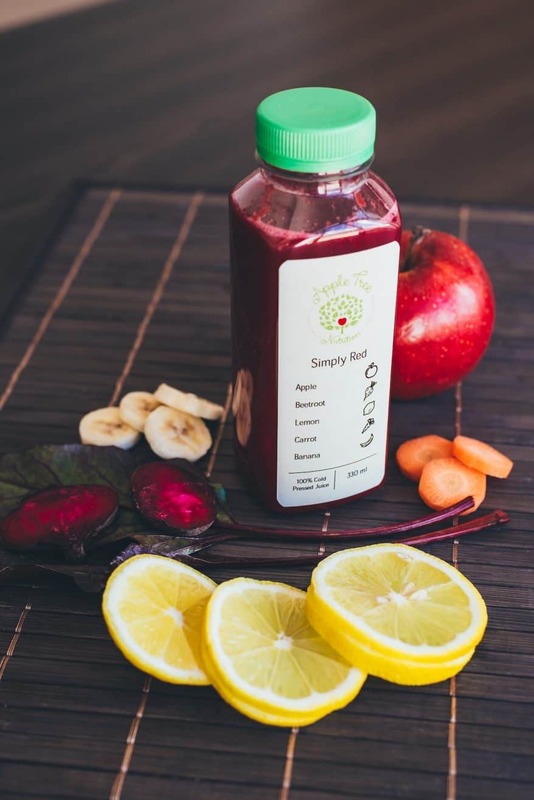 The juice of fresh fruits and vegetables outlandish….hmmmm I’m still stuck on that one. Additionally, you claim that this industry of juicing is for the benefit of selling juicing products, YET, in the very same statement SELL your own service as an alternative. I’m sure it would better serve your readers to teach about the healthy food choices rather than to tear apart the proven benefits of juicing. Feel free to elaborate on the benefits of juicing that you talk about. Please include references to the research you mention as well. This totally untrue. I’ve been juicing for years and have experienced the benefits. My son started juicing about 2mnths ago, his seasonal allergies are usually very bad (he stayed away from allergy meds and would go through a box of kleenex a day) since (juicing) he has shown no sign of any allergy symptons, (runny nose itchy eyes. Has more energy, i have since tried doing it and there is a change (no weight loss (not that I need any) but feel different. Have you heard about the Gerson theropy? Does that involve coffee enemas?! I have been juicing for 8 months. And yes I have been excercising regularly. It has improved my digestion, my skin, my acid reflux, and my chronic cough. I think I’ll keep sticking with it. And I would also like Lisa Ann’s finding and resources AS well as yours. She didn’t show any and neither did you. The only factual evidence I have so far, is what I’ve witnessed and felt personally. I’m so glad you’ve found something that has helped you! Just to be clear, I didn’t say that there were absolutely NO benefits to juicing 🙂 I was debunking certain myths. Best wishes to you! I love juicing for fun and also as a meditation. But I also agree with you on overeating has to stop in order to stay fit. I am a believer of juicing…personally experienced the healing and healthy benefits of it. Been juicing for 3 years now. Started it when my husband had a stroke…he had bad cholesterol, severe hypertension, in a boundary level of having bad liver and kidney. While taking his stroke meds I told his neurologist that I am doing juicing as part of helping him boost his immunity. The doctor gave me thumbs up and encouraged me to keep it up, we stick to healthy meals also. It indeed helped my husband, he has an active healthy lifestyle now while juicing daily. it also helped my son cured his 6 years severe constipation problem. Now juicing is part of our daily life. We as much as possible staying away from synthetic meds now. Thanks for sharing your opinion though. Juicing… like anything else… should be done in an intelligent manner. I appreciate the article… I sense a wee bit of snarky fear in it, though. Is it possible that the sane end of the juicing movement may actually have some merit? That, in a society whose government has not protected the populace… (mostly the poor)… from certain segments of the food industry, who value the insane concept of the Holy Dollar over the health and welfare of their fellow man… that it is a way to introduce literally generations of nutrient-starved people the education on nutrition that they need? Is it at all possible that there may be a perspective you have not dared to look at? 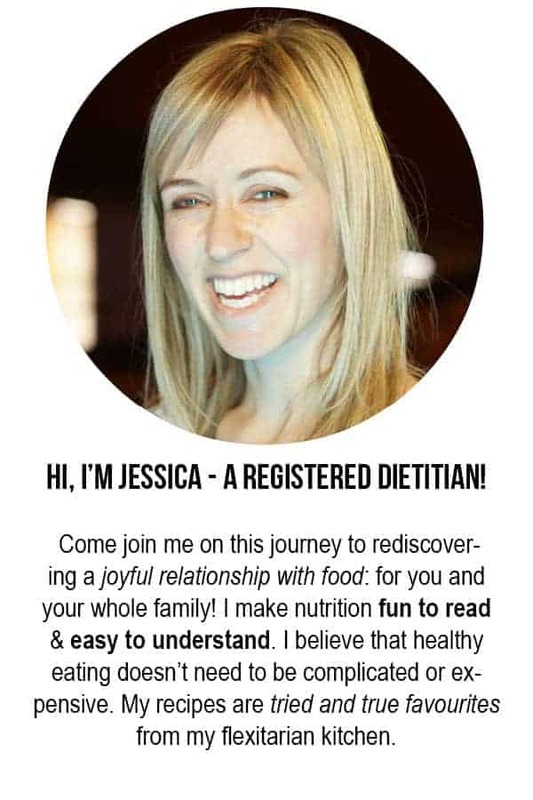 As a REGISTERED DIETICIAN… a Label you seem to be very proud of… have you researched anything yourself? OR… have you merely repeated what you have been taught? The beauty of sane inquiry through your own dietary practices should prove to you that you do not think for yourself on the subject. With that said… anyone who jumps on a fad without personal research is a fool. Anyone who believes what they are told without personal inquiry is also a fool. Is the nutritional benefit increase of a twin gear juicer vs. a single gear (cold press) juicer significant enough to warrant the higher price? Or, is the difference in “health-benefit quality” hyped-up exaggeration, i.e., inconsequential? Triturating juicers seem to be described for “purists” who just desire the top of the line (vs. those who choose twin gear because of a legitimate, quantifiable health advantage.